Kubota Tractor Corp. appointed Haruyuki (Harry) Yoshida as the new president and CEO of Kubota Tractor Corp. (KTC) and Kubota North America, based in Grapevine, Texas, effective Jan. 1, 2019. 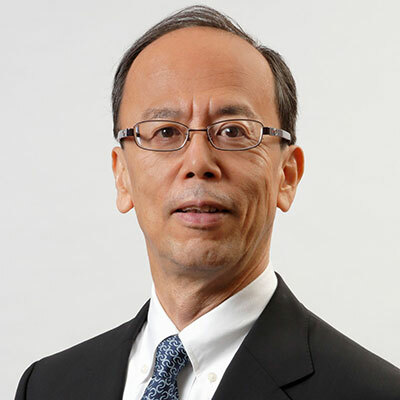 Yoshida is a 37-year Kubota veteran who most recently held the position of managing executive officer GM of farm and industrial machinery domain, strategy and operations headquarters in Osaka, Japan, and has previously spent time in the U.S. in various roles. Current President and CEO Masato Yoshikawa has been promoted to the position of director and senior managing executive officer, GM of planning and control headquarters and GM of global IT management. He will assume his new role in Osaka, Japan, at the start of the new year. Yoshikawa has served as KTC president and CEO since late 2013 and has successfully led the company through considerable growth, change and technological advancements during his five-year tenure in the U.S. The Davey Tree Expert Co. promoted Tim Walsh to director, corporate safety. As part of his new role, Walsh will be responsible for the corporate field safety support team and will continue to support the Davey Road to Zero program, which is designed to improve employee safety through training programs, monitoring initiatives and promotion of safe work practices. Walsh joined Davey in 2015 as safety manager. He has experience and educational background in arboriculture and professional safety. He currently serves as a director on the board of the Utility Arborist Association (UAA) and is a champion for the UAA Safety Committee. Walsh serves as the Davey representative and voting member on the Accredited Standards Committee Z133, the group that develops the American National Standard for Arboricultural Operations-Safety Requirements (ANSI Z133). He has been actively involved with the Accredited Standards Committee since the 2000 revision, chairing and serving on many task groups. Walsh is an International Society of Arboriculture Certified Arborist. He holds both bachelor’s and master’s degrees in urban forestry from the University of Wisconsin Stevens Point and a master’s in ergonomics and safety from the University of Massachusetts Lowell. LandCare promoted Zach Stokes to branch manager in its Marietta, Ga., location. He joined LandCare in 2010 as an account manager. Prior to joining LandCare, Stokes spent five years with a smaller firm as an operations manager. He performed and supervised various projects, including water feature installations and other landscape construction initiatives. Since joining the LandCare team, Stokes has focused on developing his leadership skills; he is currently seeking a degree in organizational leadership from Columbia Southern University.